Using jojoba oil for soap making is great for adding moisturizing and conditioning properties to your finished product. Keep in mind that jojoba oil is not actually an oil at all, but a wax found within the seeds of the jojoba plant. It will still saponify and make soap, but because of its makeup, there are special rules for using this ingredient successfully in your batch. 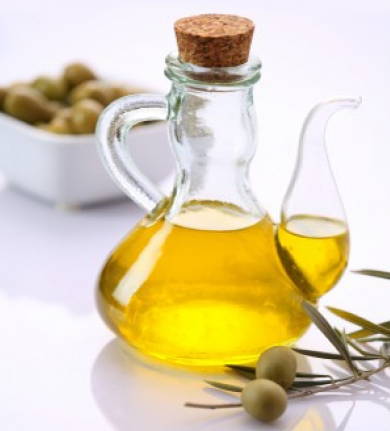 We strongly recommend that you don’t allow jojoba oil to take up more then 10% of the oils used within a recipe. Incorporating too much will create a somewhat soft bar and produce a poor lather. It’s also very expensive compared to other soap making oils, so using too much is impractical for many soap makers. You can use it as little as 3% to improve your soap or shampoo bars. When using jojoba oil for soap making be aware that trace may occur a lot quicker so you should consider soaping at lower temperatures than normal to help slow it down. If you want to cut your ingredient costs and still experience many of the benefits from this ingredient, you can add approximately 1 tablespoon of jojoba oil per 3 pounds of oils at a light trace. There are two main types of jojoba oil that can be used for soap making; colorless jojoba oil and golden jojoba oil. The colorless version is clear and has little to no scent. The golden version has a distinct scent and a deep honey-yellow hue. We like golden jojoba oil. If you don’t mind the aroma and the golden appearance, this is a great way to go! It’s really just personal preference though and you’ll surely develop your own liking. Another nice thing about using jojoba oil for soap making is that it is a very stable ingredient. In fact, this ingredient has a shelf life of approximately 2 – 4 years. Probably one of the biggest draws to jojoba oil soaps and other cosmetic products made with this ingredient is what it can do for your skin. They say that it has PH levels very similar to that of our own natural sebum. For this reason, jojoba oil is often used in leave on applications such as lotions and lip balms. Using jojoba oil for acne afflicted skin is also very common because of its great all natural moisturizing properties. Finally, be sure to buy jojoba oil from a reputable company as fakes and imitations are indeed out their!